If you are looking for a place to start learning about D.W. Griffith, the early silent film director who is known for having revolutionized cinema when it was still in its infancy, you may want to start with Richard Schickel's huge biography of this cultural legend. 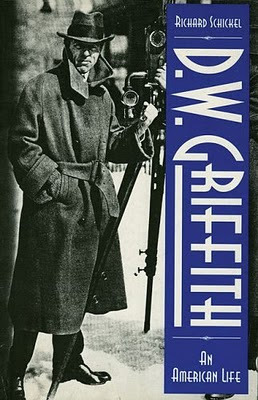 D.W. Griffith; An American Life, was originally published in 1984 to wide acclaim and it has remained in print. While books have been written about specific periods in his creative and public life, such a large scale attempt at Griffith's life has not, to my knowledge, been repeated. His name is forever linked, of course, to the infamous The Birth of a Nation, a landmark film that brought cinema into another realm and really put the United States at the vanguard of a new art form for decades to come. 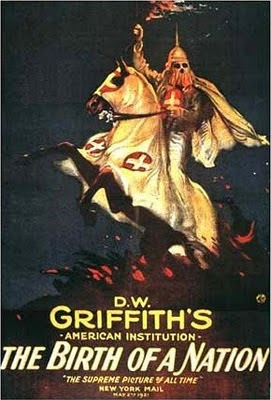 That Nation was also an insidious piece of racism is a dichotomy that still causes trouble for critics and film buffs. 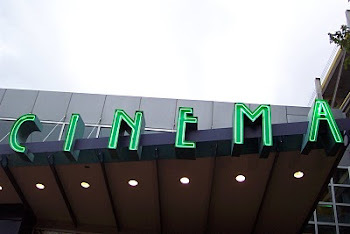 When the American Film Institute released its 100 Greatest American Movies list in June 1997, The Birth of a Nation sat right there at number 44. However, ten years later, the list was released again and The Birth of a Nation had dropped off the list altogether; it seemed it was literally replaced by Intolerance, another Griffith film which had not appeared on the earlier list. Schickel brings to life the whole electrifying period surrounding the making, release and reception of The Birth of A Nation. His details are illuminating and go a long way towards clarifying misconceptions or reinforcing what we already know. along for the early part of Griffith's life - his boyhood growing up in the South of the post Civil War Reconstruction and his forays onto to the legit stage. He sought fame as an actor and even took a few tries at playwriting, never quite finding his niche. days of acting in and directing silent one-reelers he still went under a pseudonym of sorts. And these passages are truly engaging. Schickel brings to vivid life the landscape of early motion pictures, complete with its lawsuits, business practices and egos. It is an exciting time that is imbued, through meticulous research and writing, with all the wonder, anxiety and trepidation that must have existed. Griffith’s early days at the Biograph Studio were filled with experimentation and, most importantly a sense of ensemble. He worked as an actor in Biograph’s early films, the first being a short film where he rescues a baby trapped in an eagle’s nest. After a time, he found his way into the director’s chair, and suddenly his ambition and natural artistic talents, (which up until that point had not found him success in the traditional theater,) were meeting a growing medium that required what he had to offer. Schickel’s book was originally published in the early 1980’s, at a time when most of the films he discusses and analyzes, especially those one-reelers from the Biograph years, would have been unavailable for general viewing. Now, many of these films are readily available on DVD or free on the Internet – some are in the public domain. Reading the book now allows a reader to experience most of the important films Schickel describes, and neither Schickel’s analysis or Griffiths films are any lesser for it. Many of the technical innovations that are credited to D.W. Griffith are now known to be the contributions of the skilled camera operators and lens makers that populated the field during that time. Schickel explains that Griffith should be credited some of the artistic revolution of cinema at the time than with the actual mechanical innovations. Sometimes these were the result of a cooperation of sorts. While doing his best to keep things in perspective, Schickel deploys superlatives when the situation calls for it. For instance, the box office success of The Birth of Nation remains pretty astounding for any time, even as Schickel does his best to dispense with accepted legend and focus on what the research really bears out. Also, Schickel dispels the sort of accepted wisdom that has grown up around Intolerance, a massive extravaganza that weaved together four story lines from different eras in history. Apparently, it was not made as a reaction to or an apology for the racist charges of The Birth of a Nation. Nor was it a box office disaster. Indeed, Schickel impresses that a key to understanding Griffith’s ever- descending star is that his post-Birth movies rarely were box office disasters, but rather disappointments that lost some money or simply did not make enough profit. The problem, one of many, Griffith started having was that his own finances were inextricably wrapped up into the budgets of these films – making his own attempts at starting a production company ever precarious. Like the Biograph years, Griffith’s years of making films after Birth and Intolerance are laid out just as meticulously. And they give an excellent understanding of Griffith’s place in the movie world as it approached the sound era. He was, really, the first star director – he was the only director that was a principle in the formation of United Artists. land – neither too successful, nor too poorly received. And when he did rise the occasion for his other masterpiece, Broken Blossoms, (left) he appeared unable or unwilling to see that he had broken some new ground again, and so he reverted back to what he knew. Although this did result in another success in Way Down East. Although, Schickel observes, Griffith's audience was never really the elite critical and taste-making society of New York City, but rather the "heartland" audience. What Schickel reveals early on in this volume, is that the notes Griffith left behind for a possible memoir are easily proven inaccurate in some cases, or almost willfully misleading in others. To add to that, Griffith’s close knit ensemble didn’t really have a lot of ill to speak of him. 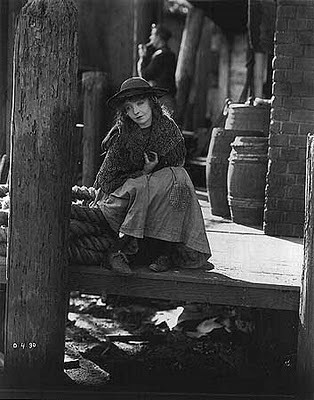 Lillian Gish, an actress who worked with him extensively, wrote a biography that paints Griffith in a suspiciously flattering light. So in his efforts to stick to what he can verify, Schickel just about surrenders the more extensive psychological profile that generally accompanies works about artists. The reader won’t find much about Griffith’s off-camera relationships with young, (sometimes too young) starlets. In fact, for long stretches, Schickel’s outline of the great director sometimes stuck me as an almost monastic portrait - consumed by work, long hours at the studio, and off nights seeing what sort of work his competitors were doing. However, we then read about hints of inappropriate affections, and we get a snippet of a letter Griffith sent to his first wife before their divorce in which Griffith hints that there have been many adulterous affairs. The images don't square. But what of the racism in Birth of Nation and the traces of it in some of his other films? A biography of Griffith needs to deal with this, and Schickel does, relating to us a very late in life interview in which the director reveals just how deep racism may corrupt the makeup of a human being.